Arena do Grêmio is a multi-purpose sports arena situated in the city of Porto Alegre in the southernmost state of Brazil, Rio Grande do Sul. 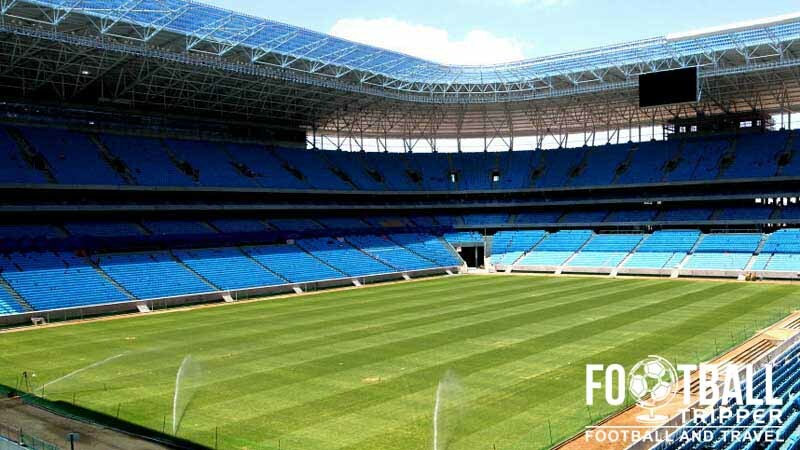 Built over a two year period it is the home stadium of Grêmio FBPA and is capable of seating 55,000 fans. 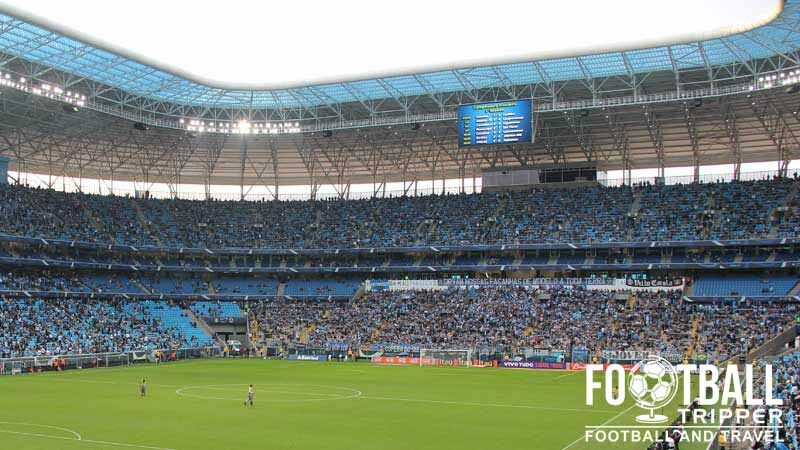 Arena do Grêmio is a multi-purpose sports stadium which first opened on the 8th December, with the inaugural match held against German side Hamburg which the home side won 2-1. 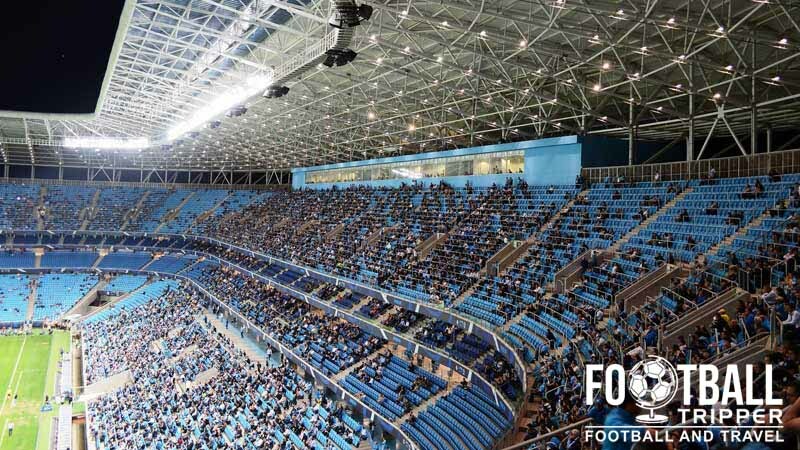 Built to replace Grêmio’s ageing Estádio Olímpico Monumental, a new stadium has been the top of the club’s wishlist since the turn of the millennium with the club eventually conducting viability studies in 2006. 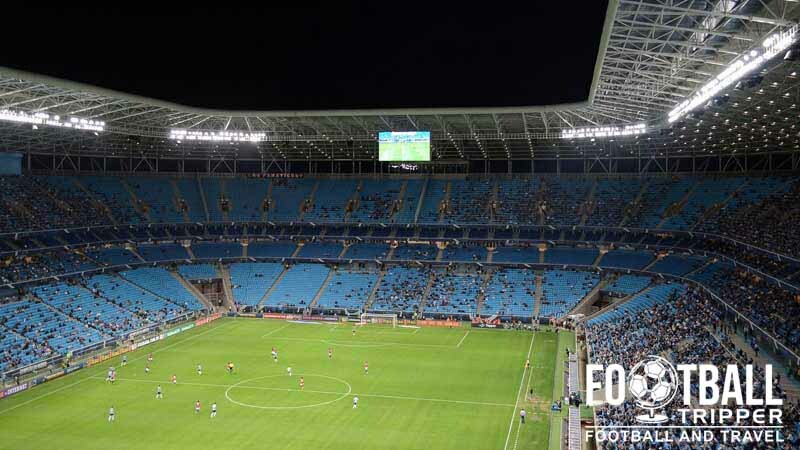 Envisioning a modern football ground such as The Emirates, Gremio wished to create a self-sustainable stadium, capable of being used all year round, unlike the 1954 built Olimpico which was solely used for football matches. Not only was the inefficient use of the ground losing the club money, the maintenance costs were high due to the age of the ground with many fans put off by the poor levels of comfort and matchday experience. After the designs were finalised by PLARQ Arquitetura fences were erected on the site in October 2009 with a symbolic flag of the club planted into the ground on 13th May 2010 to mark the start of construction. The project took around two years in total to complete, with a slight delay caused by around 300 workers who striked for better pay, which was a request which was deemed fair by management. Satisfying FIFA’s minimum requirement of 40,000 seats, many were surprised to see that the brand new, state-of-the art stadium was not used as a host stadium for the 2014 World Cup. The way the bid works, cities are nominated and then from there a stadium is chosen, with Porto Alegre opting to use Estádio Beira-Rio instead. 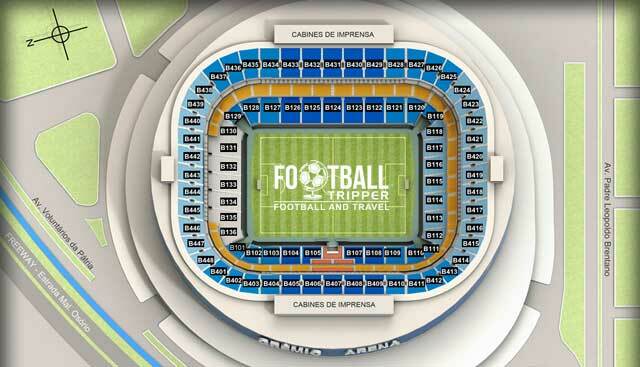 The Arena do Grêmio is comprised of four stands: North, East, South and West.